The Campbell Collaboration is a voluntary, non-profit, international research network. We produce and disseminate systematic reviews of the effects of interventions in the social and behavioural sciences. Learn more watching our video channel. If you are a journalist and would like to receive news about upcoming publications before they are published, or if you want to interview an author or get more information, please contact: [email protected]. Our mission is to enhance the evidence basis so that policymakers, practitioners, and service recipients are better equipped to make informed decisions. This can improve people’s lives, by improving the quality of public and private services. 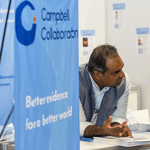 Campbell has a small International Secretariat located in Oslo, Norway, which is hosted by the Knowledge Centre at the National Institute of Public Health, and a Secretariat in Delhi, India hosted by the Global Development Network. You can see our organizational chart here. 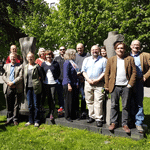 We summarize research in several inter-linked research fields: crime and justice, education, international development, social welfare, knowledge transfer and methods, disability, nutrition, business and management, and methods. 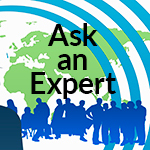 Click here to ask one of our experts about diverse topics in these fields. The Campbell Colloquium provides a meeting place open to anyone interested in evidence-based social policy. Building competence in research synthesis methodology is a key to increasing capacity for systematic reviews. Next year we are holding the What Works Global Summit (WWGS) 2019 in Mexico, together with Coneval. 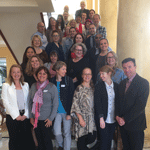 In additional to the training sessions being held in Mexico at WWGS 2019, we have run stand-alone workshops in countries all over the world. See our Events page for more information. A systematic review is a key step towards finding what works. It uses transparent and explicitly defined procedures to find, evaluate and synthesize the results of relevant research. The process is designed to minimize bias and to give as accurate as possible an indication of the effect of an intervention or program. Campbell Systematic Reviews follow rigorous guidelines and are subject to intensive editorial scrutiny before publication. Campbell reviews: Must include a systematic search for both published and unpublished reports. Require that a protocol (project plan) for the review is approved and published in advance. Are usually international in scope. Require a minimum of two researchers, working independently, to determine matters such as study inclusion and coding. Approved reviews are published in our open access, online Campbell Library. Here you can see Campbell logos, images (portraits, activities) and brochures which are available for download. 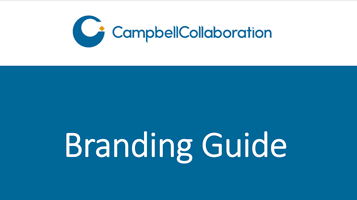 Please refer to the Campbell Branding guide (a work in progress) before you use our logos or profile Campbell visually. Our most influential reviews concern topics such as “Scared Straight” programs, Kinship Care, School-based programs to prevent bullying, WASH hygiene programs, Welfare-to-work programs, and Mindfulness.